SIMFEROPOL, November 30. /TASS/. Following their two-month pre-trial detentions, the Ukrainian Navy soldiers, who had been detained in the Kerch Strait for breaching the Russian state border, will be transferred to a Moscow jail, Crimean human rights ombudswoman Lyudmila Lubina told TASS on Friday. There haven’t been any complaints from the Ukrainian sailors, the ombudswoman emphasized. The Russian Federal Security Service (FSB) reported on November 25 that the Ukrainian warships, the Berdyansk, the Nikopol and the Yany Kapu had breached the Russian state border on Sunday morning and later attempted to carry out illegal maneuvers in Russia’s territorial waters later. The Ukrainian vessels ignored the legitimate demands of the Coast Guard of the FSB Border Service and the Black Sea Fleet to immediately halt, and end performing dangerous maneuvers. As a result of blatantly disregarding the orders, a chase involving some gunfire ensued in order to stop the Ukrainian ships, which were detained in Russian territorial waters. Moscow branded Kiev’s stunt in the Kerch Strait as a dangerous provocation, while the European Union and NATO called for a de-escalation of tensions. 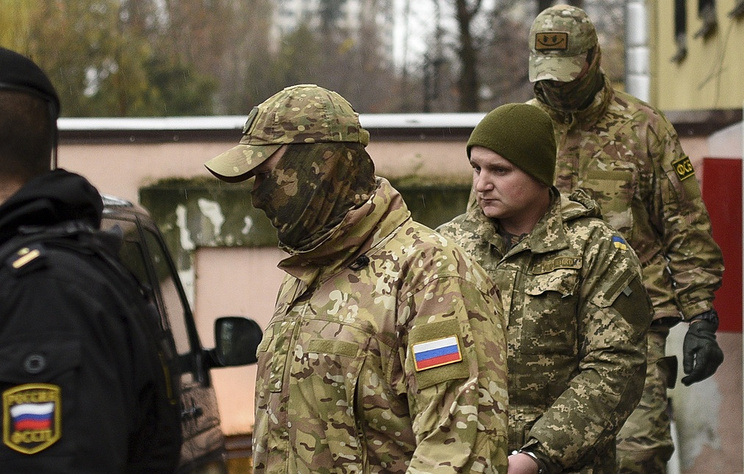 On Wednesday, Crimean courts imposed two-month pre-trial detentions on all 24 Ukrainian sailors, who are suspected of breaching the Russian state border (part 3, Article 322 of the Russian Criminal Code). They may face up to six years in prison.